On September 17, 2010 at the State Museum in Harrisburg, the Pomeroy Academia Covered Bridge – owned by the Juniata County Historical Society – was awarded the Ralph Modjeski Award For Excellence in Transportation Design, Historic Preservation & Archaeology. 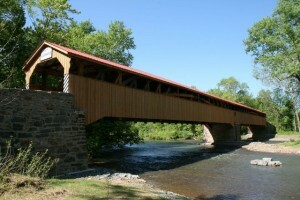 The award was presented by Preservation Pennsylvania, a nonprofit organization dedicated to the protection of historically and architecturally significant properties. 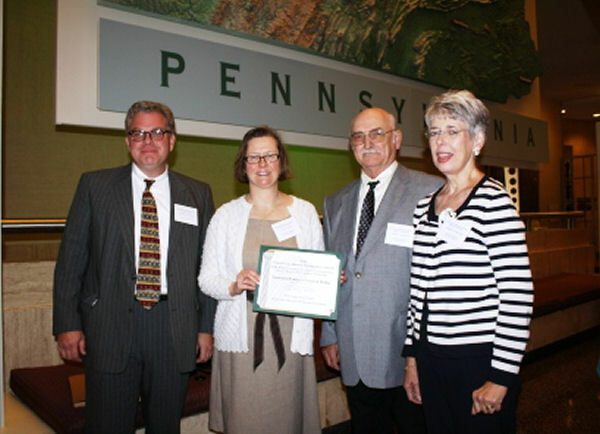 Pictured above from left to right are: Marty Malone , Lehman Engineering; Nancy Crago Vice President; Terry Wheeler, Past President and Audrey Sizelove, President, of the Juniata County Historical Society.